When I first listened to Ghil, I had to keep reminding myself that I was hearing a flipping cello, such is the manner in which Korean improviser and composer Okkyung Lee distorts, disturbs and even deconstructs her instrument, to the point of rendering it unrecognisable. And the results are simply amazing, Ghil effectively standing as the premier noise album of 2013. The liner notes for Ghil leap out at you as you start being barraged by Lee's improvisational assault: the album was recorded in Norway by noise legend Lasse Marhaug on a portable tape machine in four different locations, three of which were outside the studio (an abandoned power plant, the back streets of Oslo and a cabin in a forest). What an image that information conjures in the mind: Okkyung Lee seated or standing, battering and scraping her strings surrounded by trees, run-down energy pylons or the debris of a claustrophobic back-alley. The music is suitably expressionistic, a sort of brittle, abrasive take on free improvisation where the convenience and structures inherent in group interplay are impossible, and the comfort of the recording studio deliberately avoided. It's no wonder that commentators have drawn a connection between Ghil and the solo work of Derek Bailey, a man who famously challenged improv's reputation as supremely free music by pointing out very few improvisers achieved said freedom. Okkyung Lee doesn't have Bailey's sly humour, or at least it doesn't trickle into her broodingly intense music, but she certainly shares some of his style. Just listen to the great man's duo album with Steve Noble, Out Of The Past, where Bailey achieves the same sort of brutality with his guitar as Lee displays on Ghil. Ghil presents a series of vignettes, most of them short, and none extending beyond nine minutes or so, but it feels like these short durations allow Lee more freedom to let loose and aggressively deconstruct the conventions of cello performance. Her style is positively punkish, as displayed on 'The Crow Flew After Yi Sang' and 'Strictly Vertical', on which she sounds like she's actually grinding her bow into the strings whilst simultaneously see-sawing it across them. The pace is relentless, to the point of being destabilising, for one expects more drone and patience with the cello, as opposed to this kind of distorted freneticism. On 'Two To Your Right, Five To Your Left', the cello sounds alternately like a broken electric guitar stuck on a feedback loop and the revving of a sports car; while the nine-minute magnum centrepiece 'The Space Beneath My Grey Heart' sees Lee reduce the sound of her cello to a beleaguered croak, shifting tempos adding more disruption to any notion of compositional aestheticism. The album closes with two overdriven slabs of ecstatic lunacy, 'Meolly Ganeun' and 'Over The Oak, Under The Elm', where the cello is transformed into a ferocious noise machine, filtered and distorted until Lee's singular music comes close to resembling the harsh noise walls of Vomir or The Rita. If the principal behind free improvisation is to defy and transform musical idioms, then Ghil verges on the triumphant. Of course, one could argue that Okkyung Lee has ended up creating her own idiom with the way she manipulates, even destroys, the sound of the cello. The same could be said even of Derek Bailey. But I'm not sure such considerations matter one jot. 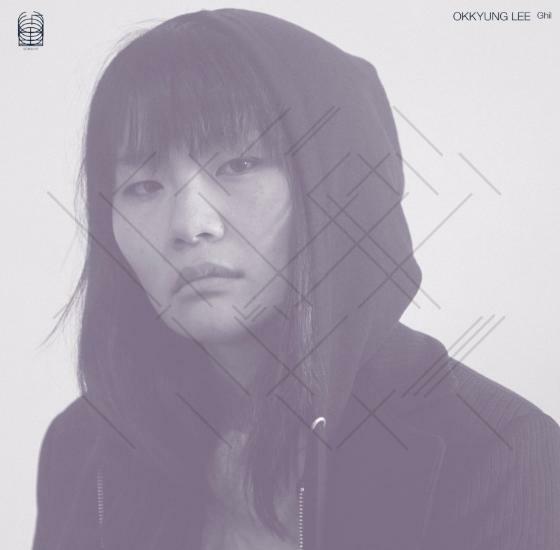 On Ghil, Okkyung Lee effectively wipes the floor with just about every solo improviser out there, displaying a boldness and complete disregard to compromise that makes every last second a visceral thrill. In such a context, words mean very little. All that matters is the noise, and it's blissful.